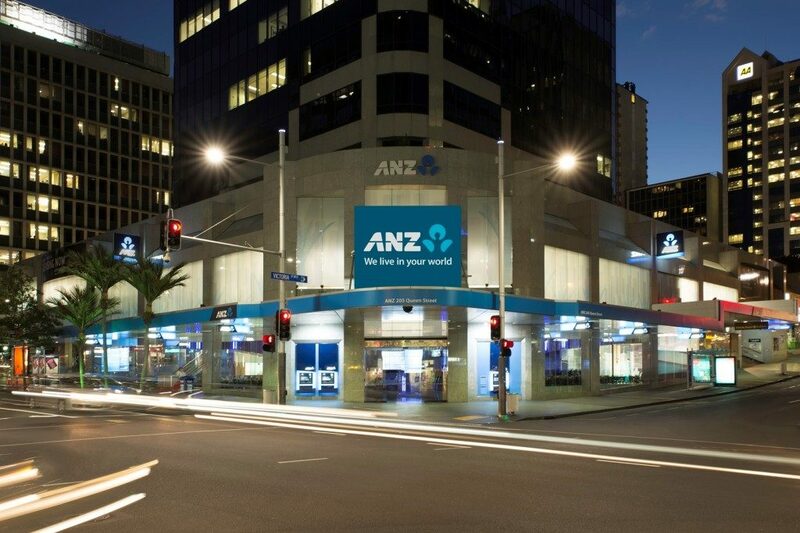 RCP are managing the design and delivery phases of ANZ’s national retail rollout programme of works. We are responsible for the programme involving over 400 branches across New Zealand comprising ANZ’s property portfolio. The project has involved refurbishments, staged upgrades, seismic upgrading, new builds and rebranding workstreams requiring extensive landlord liaison and local council engagement for regulatory consenting. RCP developed a cohesive master programme and associated tracking schedule incorporating all separable portions of work across multiple sites to allow for the effective scoping, assessment, and deliverable milestones to be managed and monitored for successful implementation. As part of our role for the ANZ, RCP is also overseeing and managing the necessary seismic assessments and options analysis programme including actual delivery of the strengthening works required following the initial review process. ANZ 205 Queen Street, Auckland is the biggest branch in New Zealand’s network. The branch remained open throughout the 6 month separately phased construction period. It was completed on 17 March ahead of time and under budget.